Serves good south indian food. Very clean and hygenic. Quick service. Uttapas and dosas are really good. Best service. Pure South Indian Vegetarian Restaurant. Great Taste in Pune. Heart of the city with affordable price. beverages, shakes, snacks are the flavour here..lot of casual visitors drop in for bun maska and a cup of tea . very rightly placed on junction of Main street and has ground as well 1st flor seating....we liked tomato omelette too..
One of my go to place to revive childhood memories. This place is a landmark in MG road and till date the quality of the South Indian food remains the same. 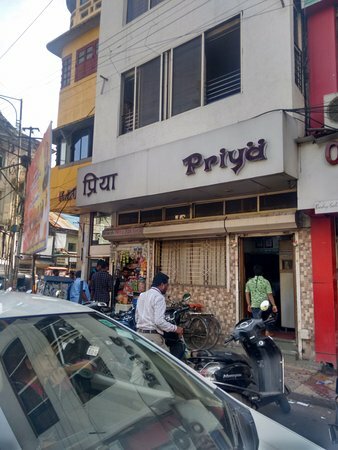 I like the dahiwada from Priya, we in our family always went to Priya for dahiwada, when ever we were in Pune. Everybody might not like it it has a typical Pune taste , other states have a little difference in dahiwada. The food is amazing, anytime you want to have some south India food this is a place to go. You will have to compromise on seating facility, as its very congested but after having food you will forget that. Amazing taste. Small setup, almost to the point of congested, but the taste makes up for it. 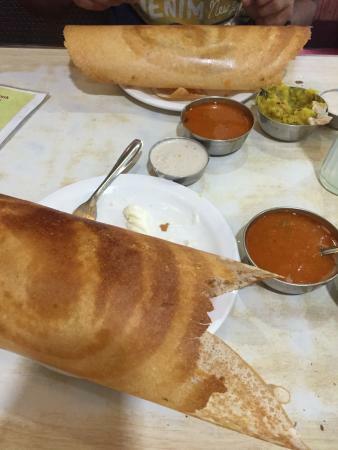 The Dosa is good, the mendu wada is tasty and the place is clean, inspite of being small. Its a small joint but the food is great. The ambiance is not great but one wont regret visiting this restaurant. Pricing is very reasonable and food tastes great. Get quick answers from Priya Restaurant staff and past visitors.